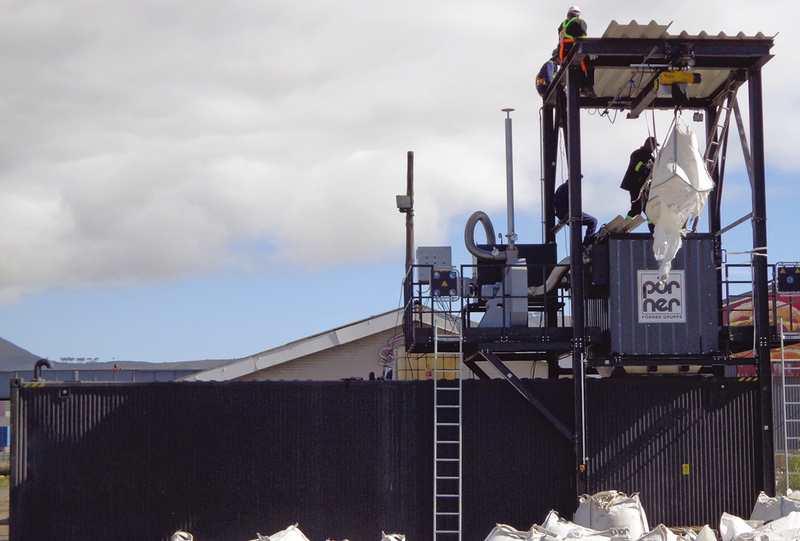 At the end of the supply chain, the bitumen has to be re-liquefied for final application. This is accomplished by the Pörner High-Performance Melting Unit (HPM), which is the central element of a Melting Terminal. The Melting Terminals substitute depots and bitumen terminals and are a cost-effective alternative to expensive conventional infrastructure with a small one-time investment. 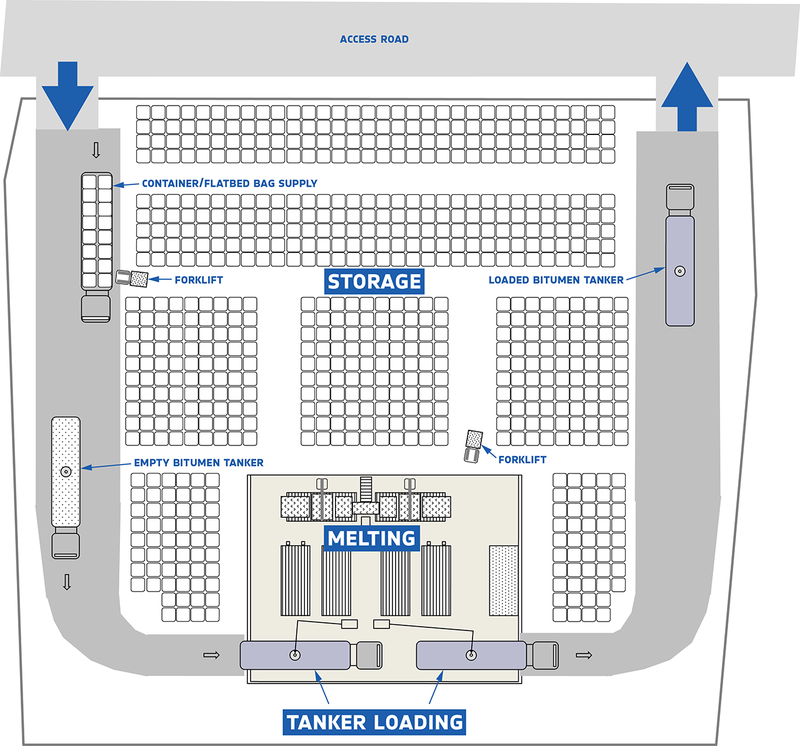 Instead of heated tanks or inefficient drum decanters, the Melting Terminal only requires a flat, compacted storage area and at least one HPM. 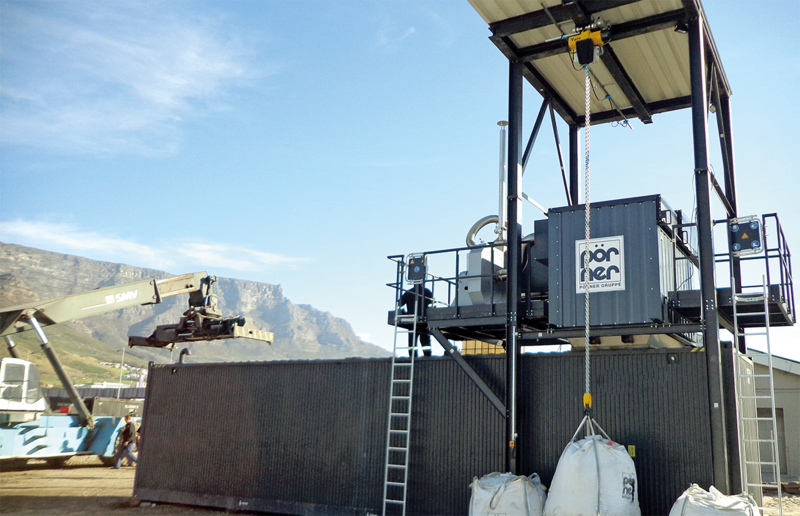 The HPM is probably the most efficient bitumen melting facility and has been designed by Pörner process engineers. Its central component is a melting grid with high-tech heat distribution and heat recovery. It can be operated by just one person. It requires either form of energy available, e.g. Diesel, paraffin or gas. Consumption is as low as four liters of Diesel (or energy equivalent) per melted ton of bitumen, depending on ambient temperature. Schematic illustration of a Pörner Melting Terminal for use with the Pörner Bitumen Bag™. Environmental impact Usually none: No exhaust fumes visible, bitumen is non-hazardous and food-safe. 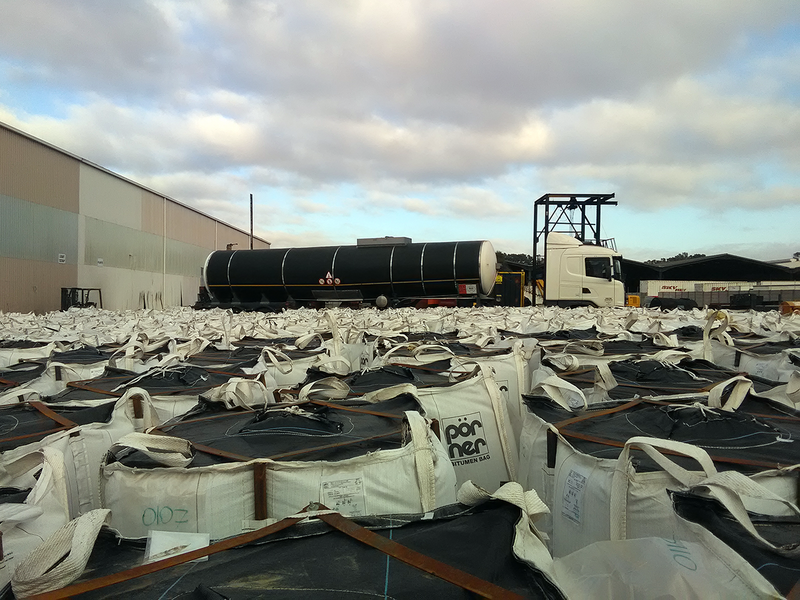 Pörner Bitumen is a subsidiary of the Pörner Group and operates Melting Terminals in several countries as well as trades with bitumen. 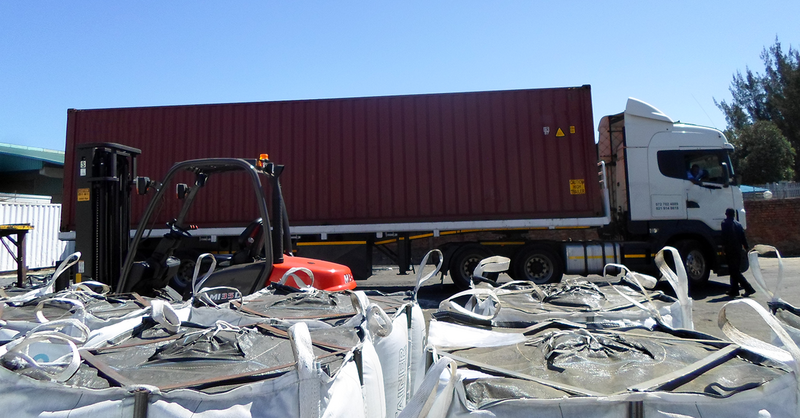 We also offer cooperation schemes for trading, distribution of product and operation of the Melting Terminals. This is particularly interesting for producers that do not want to get involved in the distribution process themselves or handle operations in target markets, but rather use the PBPS as producer and for packing to expand their market reach.